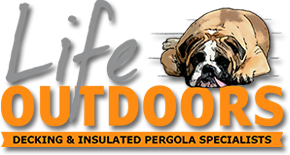 Life Outdoors is a small family owned company based in the Sutherland Shire and St George areas. We specialise in decks, pool surrounds, timber pergolas, metal pergolas, insulated pergolas, timber patios, metal patios, insulated patios, day beds & bench seating, privacy screens, balustrades, stairs, carports, outdoor kitchens, and other features. We offer a complete package including expert drafting, engineering details, council approval and certification, all licenced trades including carpentry, plumbing and electrical. We can take care of the whole project from start to finish or will do as much or as little as you wish. If you’re thinking about the possibilities of creating an outdoor living space, I'm more than happy to offer my advice. Please call or email me for a no obligation free quotation.